At the heart of it, Shouya Grigg is an artist. He just also happens to be one of Niseko’s most successful individual achievers, starting from a humble foundation running a small media design company in Sapporo in the early 2000s. Since creating a prototype for his signature style – turning an old Hirafu pension into a buzzing urban-esque bar and restaurant long before there was any form of sophisticated apres culture in Niseko back in 2005 – he has gone on to notch up an impressive list of unique achievements. 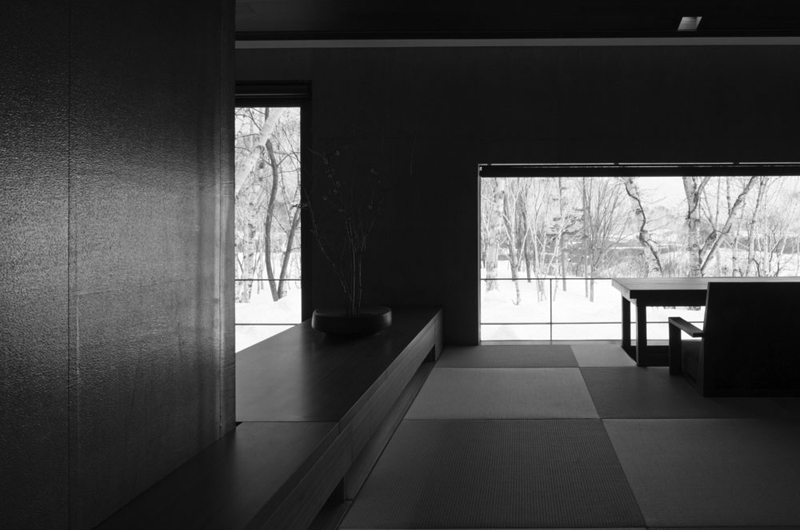 A modern Hirafu chalet he designed has won multiple World Ski Awards as Japan’s best ski chalet, and his masterpiece Japanese-style ‘ryokan’ retreat at Hanazono has featured on the covers of the world’s leading style magazines. This year Shouya has thrown out the rule book once more, having dismantled a 150-year-old kominka (traditional Japanese farm house) on the mainland, and rebuilt it to house an art gallery and cafe on his land at Hanazono. 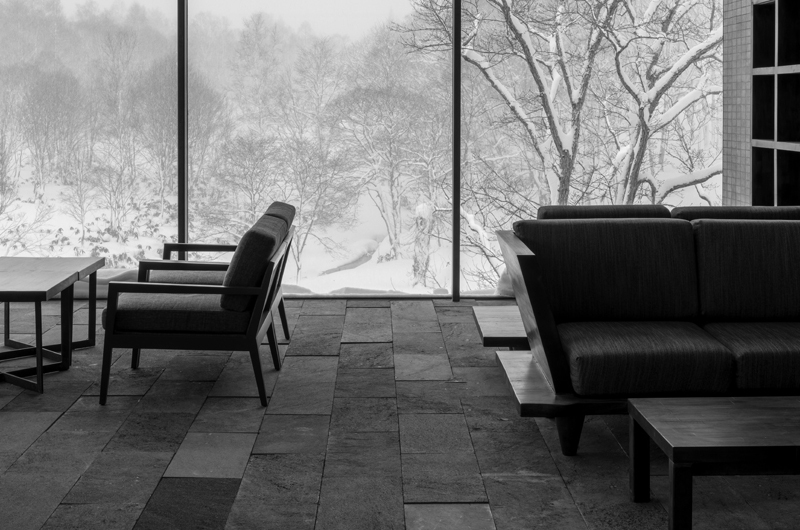 Its location on a clifftop overlooking a deep river valley gorge is perhaps the most spectacular location of any development in Niseko to date, not to mention the exquisite nature of the historical old structure and its modern interior interpretation itself. 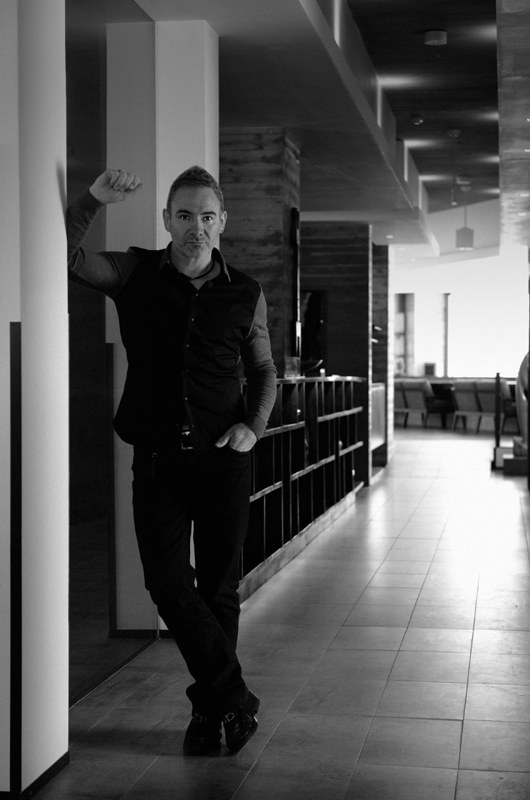 While not formally an architect, the British-born designer has a natural talent for envisioning and then creating unique spaces on top of existing structures and landscapes, with his signature mix of modern and traditional Japanese influence. 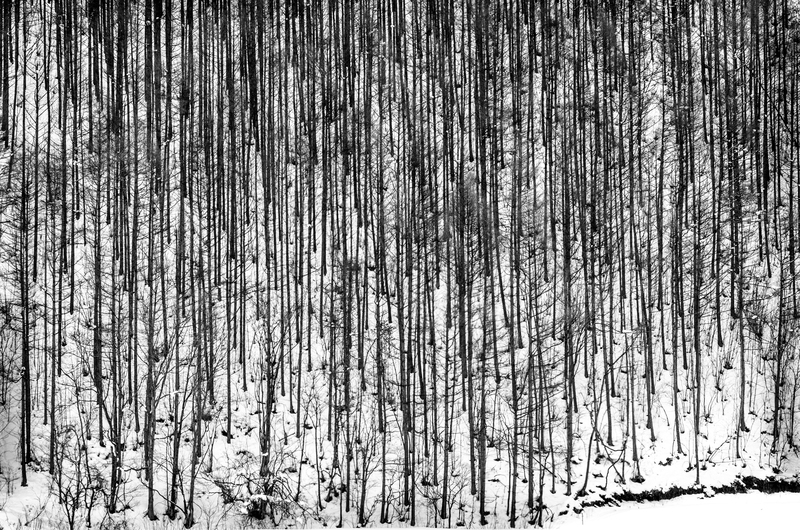 Originally a photographer and cinematographer, Shouya seeks out solitude in the mountains of Niseko, which drives his creativity. The seasons and the landscape, and its interaction with the elements – sunlight, snow, clouds, rain – provide never-ending inspiration for his passion. Hearing Shouya talk about his plans is always a fascinating experience as you visualise the scenes and dreams he’s describing – past, present and future – in passionate detail. We interviewed Shouya so Powderlife readers had the opportunity to be inspired by his achievements, philosophies and visions. All photos in the following pages are taken by Shouya. What’s your background in design and how did you get started in Niseko? I’d been living in Japan, mainly in Sapporo, since the early 90s and I had my own media design company. I had always wanted to move into interior design or architecture, but without a license architecture wasn’t possible. I suppose I did my first ‘entrepreneurial’ project when I was 17 after leaving school in Perth (Western Australia) where my family had moved. I rented a little warehouse in the middle of the city and renovated it, turning it into a funky little fashion store with my girlfriend who was a fashion designer. It wasn’t really about the commercial side of the business, it was just more to see what I could create and where I could add value. So that’s the kind of thing I wanted to do, but it was very difficult to get that type of work when I had nothing to show and no qualifications to back me up at the time. We used to come to Niseko a few times a year to go hiking and snowboarding and have an onsen, even before the new Niseko movement started. 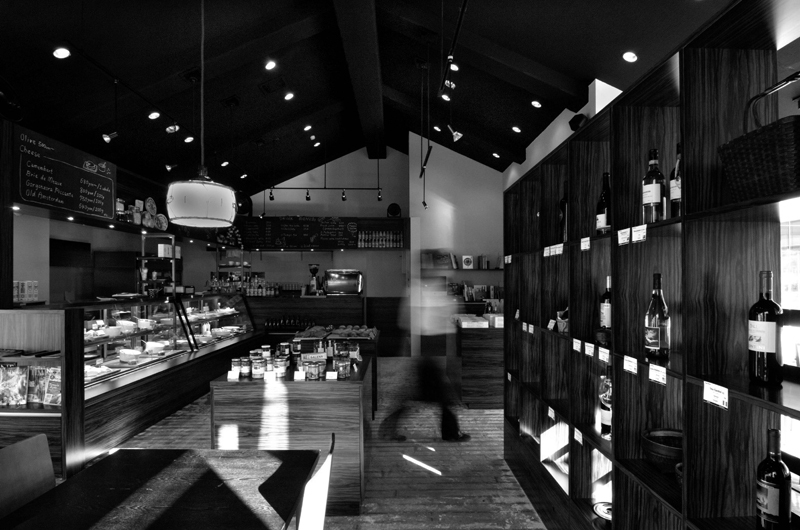 We decided to get something in Niseko and renovate it as a folio piece. We would do everything – come up with a concept, create a logo, do the interiors, take the photos, do the pamphlet, do the website, the whole thing. I guess I’m very hands on. That’s how we ended up deciding on Niseko. 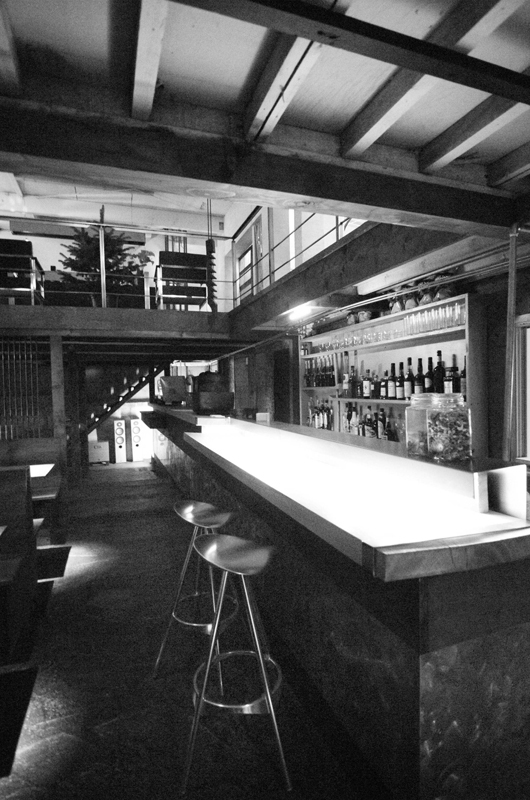 Tell us about your first project in Niseko – the old Sekka Restaurant. I remember it was such a funky design with the hole in the upper floor. How did you go about creating the space? 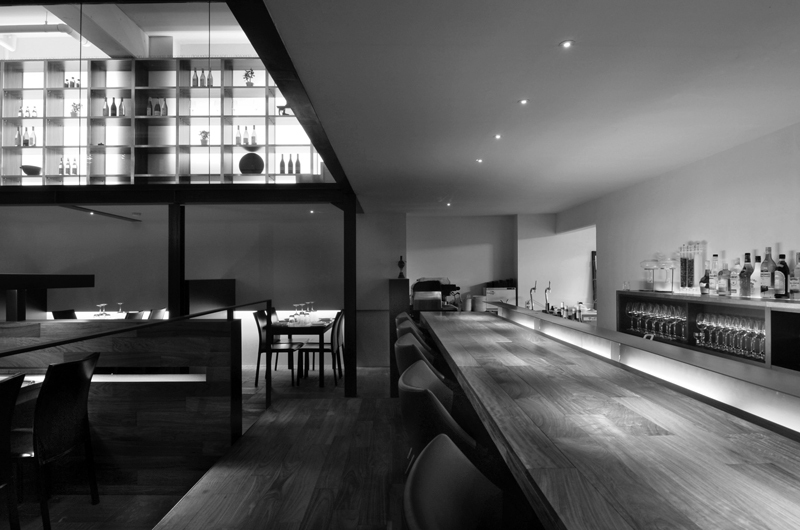 In the very early days of modern Niseko, going back 11 or 12 years when this first movement really started kicking off, there were really no restaurants like Sekka. Hokkaido Tracks and Ski Japan were building their first buildings and there were lots of quaint izakaya and traditional places that had been around for a few years, but there were really no restaurants you could go to and get a good bottle of wine. My parents were always renovating properties in England and Australia when I was growing up, and we built our own house in Sapporo by hand. So we were prepared to do some work to create something. We looked around and came across a rundown old pension called Piste. It wasn’t “nice old” as in a 100-year-old traditional property, but it was quirky and had some different levels we could work with. My parents came up and we gutted it ourselves. As we were gutting it I started coming up with ideas for the layout. “Let’s cut a hole in the floor here, let’s put the kitchen over there, let’s use these little areas for the dining, let’s put the front here.” It was very organic. As we were doing the work we felt “this was right here and that was wrong there”. It was very hands-on and that’s how it all came about. These days you might call it “rough luxe”, but for me I just wanted to see what I could do – it was basically a prototype and thankfully we were the clients so we could do what we wanted and didn’t really have any pressure. Back then we believed in Hokkaido as a destination and we felt Niseko would grow. So we were having a bit of fun but looking to see what we could create with everything from the concept, to the food, the ambiance, the interior. The whole thread comes through to what I’m doing now. 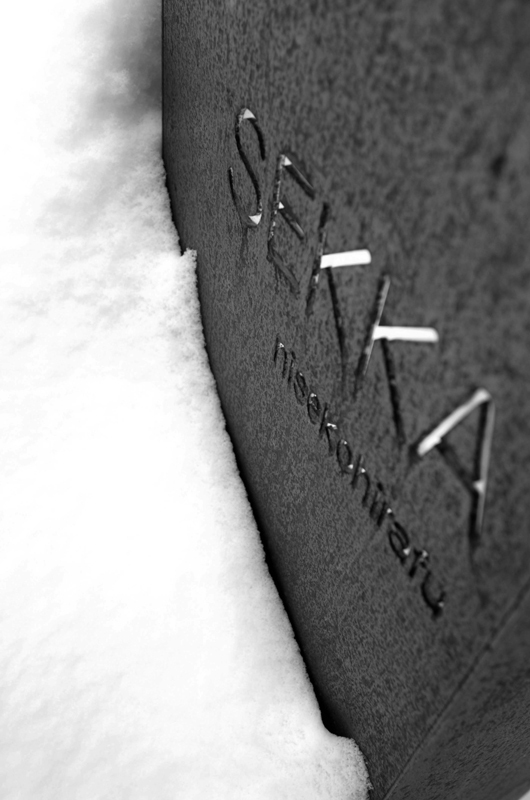 Sekka was the start of what I’d always wanted to do with mixed-use space. It’s not like I want to be a hotelier or run a restaurant. It’s more about creating interesting spaces that incorporate some F&B (food and beverage), but also a shop with antiques or objects that I find. I use some of those for styling the interior, and I sell some of them. That’s followed through with everything I do even up to now with my latest projects. Were you happy with the end result of that initial space? Yeah, very much so. I don’t really like living in a city but if you live in the city there’s a lot of stimulation, a lot of people around, and parties and events. I really like my own space so I prefer to live in the countryside. But I do enjoy good conversation and it seems through creating these spaces I’ve been able to communicate and connect with interesting people. I’ve met a lot of new friends and contacts through everything I’ve done. In the original Sekka I was actually working on the floor behind the bar downstairs. A lot of the friends I have now I met there. 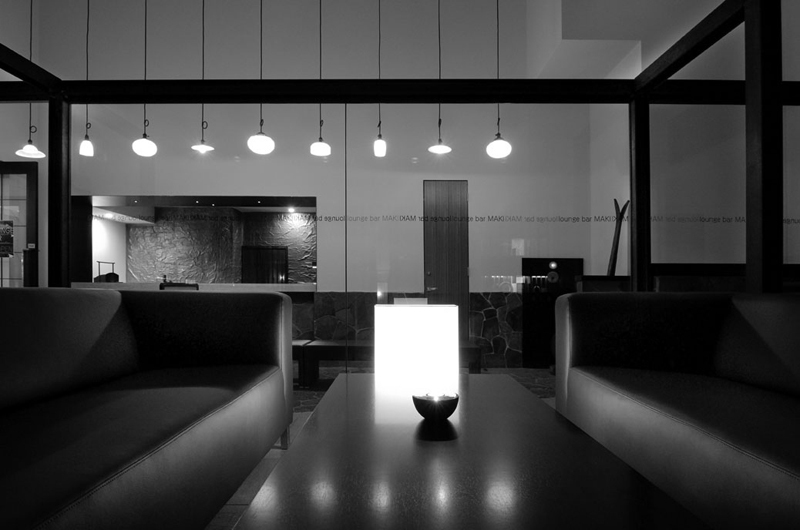 J-Sekka was Shouya’s second major project in Niseko – refurbishing an old original hotel in Hirafu. When did you start to think about moving on to J-Sekka? Well we were doing Sekka for about three years, and it was almost like my living room because we lived upstairs. Our home was still in Sapporo and we’d just come out to run Sekka in the winter. Through meeting people in the restaurant I would get chatting and selling them some wine, or maybe they were interested in interiors, or they’d say they were looking for some land and talk about what they wanted to do. That’s how I started moving on to other projects. I got a couple of partners and we ended up deciding to buy the old J-Second Hotel, renovating it and calling it J-Sekka. We had accommodation as well as the F&B and different outlets and that’s when I moved Sekka, the dining and the bar, over to J-Sekka and closed the original. We had more space so I had to come up with some different ideas to fill it. I wanted to have an accommodation element as well. Why the interest in accommodation as well? With accommodation, rather than just having people for dinner, you can embrace them more and for longer. It’s a longer conversation and a deeper relationship, and it enabled us to have the delicatessen and do the breakfast thing for them as well. So it seems that you like designing experiences as much as the actual spaces? That’s a good way of putting it. Dinner is only a small part of the whole experience. When you’ve got people staying you can really create a much deeper and bigger experience with them. The whole thing of checking in and staying in the room and coming down for a drink and dinner. So that was your second big project. Again, were you happy with the way that turned out? In the beginning, very happy when we were running everything. But after a couple of years I started to do other projects. For a long time I had wanted to do a ryokan (traditional Japanese inn), like a retreat. 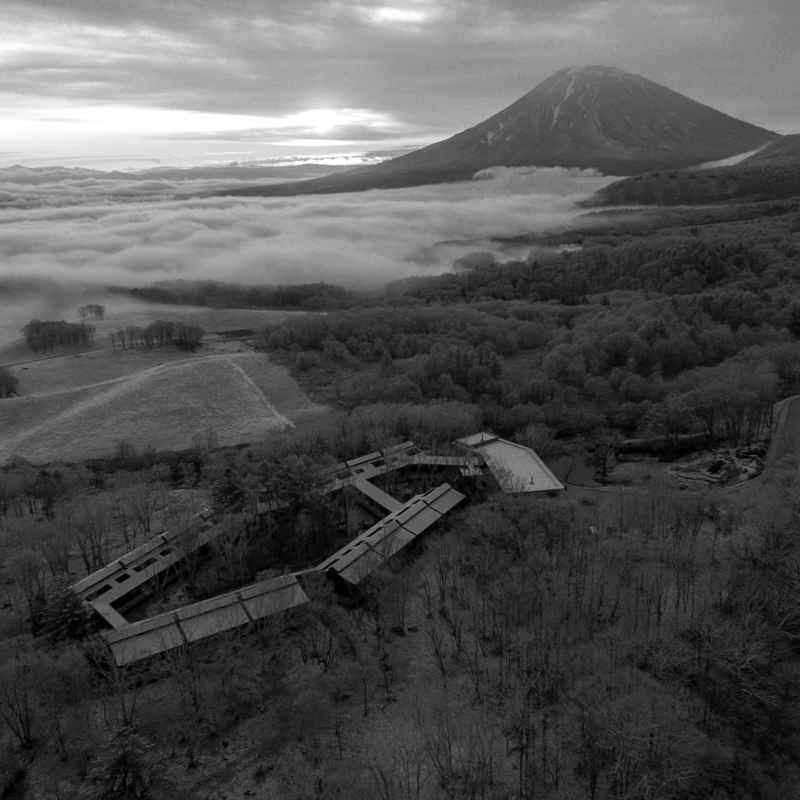 But the original Niseko just wasn’t big enough and I didn’t have enough experience or money. With J-Sekka obviously being a bigger building, it enabled me to have a go at the whole thing with some accommodation, even though we didn’t really run it as a hotel where people come and stay for one night. It was more like a condominium within the building. So it still wasn’t quite what I was really wanting to do but it was a good stepping stone. Through it I learned a lot as well. Then as I did start to do other projects I was starting to plan the ryokan retreat. I had some different land and I was staying in different properties throughout Japan and seeing what type of market was coming to Niseko – obviously it was changing constantly. So that was always in the back of my mind and I was working on that on the sidelines. I became a little bit more hands off with J-Sekka. We rented out some of the spaces which made it easier but it compromised the integrity of the original plan. That’s when I started to focus on something bigger and better. All of these are stepping stones in my education and learning process. 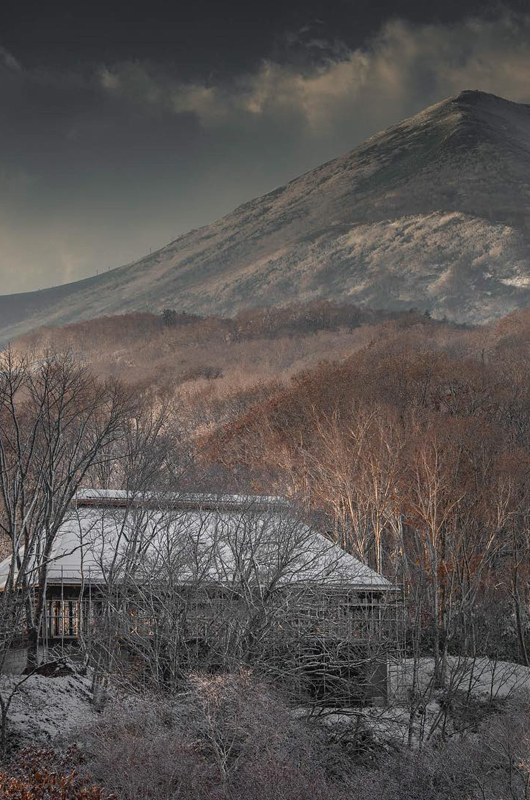 Zaborin is a secluded luxury ryokan with 15 separate villas in the Hanazono woods. So when did the seed get planted for Zaborin? From way back to be honest. From a long time ago even before I came to Japan I used to enjoy staying at little retreats or unique properties. After coming to Japan my wife and I often stayed at different ryokans, which are like retreats. Not all high end, often just cheap, little family-run businesses. Some were good, some were bad. It’s subjective but even the good ones I still found there were certain things I would probably do differently because of the way I like things. There are people who seem to like my style or like that I’ve got a different take on things. I think my wife got sick of hearing me say all these things and kept saying “you’ve got to do your own place”. From when I had my media design company in Sapporo I had a few hotels as clients. So I had this behind-the-scenes look into hotels and ryokans, photographing them and doing their promotional materials. This enabled me to fine-tune my focus. Location is obviously important and I had some good land from a long time ago. It was just a case of gradually planning it in my mind. I built my house on a different part of the same land about nine years ago, so I was able to live there and really get to know it. Living with the land for such a long time, being able to walk over it, experience the seasons, to live and breathe and feel it, is really important for my process of creating and designing. Most people don’t have the luxury of spending such a long time on a piece of land before they do something. So you were living on your land and walking around it for 10 years, and the whole time you were noticing what happens in different seasons, and where the sun rises and sets. So I suppose you were coming up with ideas the whole time about which direction you would face things and where you could have different features? That’s right. Even the number of rooms – I always knew it would be a small number of rooms. But every year we would go stay somewhere else and pick up something interesting and I just kept refining my ideas until I got to the stage where basically I had all the ideas, I had the land, I had the contacts to make it happen. I just needed finance and fortunately I was able to speak to some investors who I had produced a property for in Hirafu. They liked my style and ideas, and they agreed to come on board and make it happen. We’ve been talking about you designing experiences, so what was your vision and what was the experience you wanted to create with Zaborin? objects that I used for art on the walls as a bit of a statement that everything doesn’t need to be shiny and polished. I was wanting to show that maybe that’s the old way of thinking, and you can do something a lot simpler and maybe more authentic. So you’re designing a Japanese style ryokan as a foreigner for Japanese people. I guess it’s an outsider’s take on their traditions. How have Japanese people reacted to it? Well I didn’t want to go upsetting anybody but I didn’t want to just play it safe. We didn’t want to make a big point that this is owned by foreigners or that I was very involved in the design. I think being a foreigner there are things I can get away with in Japan, because I’m not expected to do it a certain way. So I had artistic freedom that some Japanese don’t have. 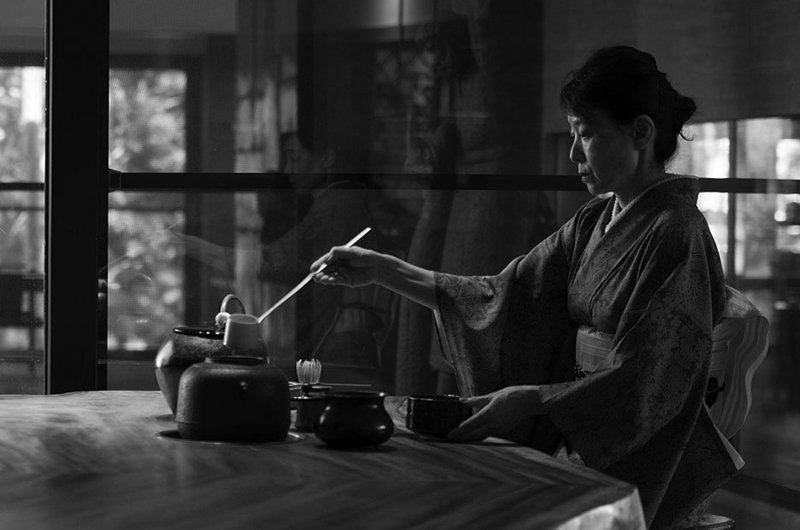 How does Zaborin differ from a traditional ryokan? It basically comes down to the mindset of the owners. My partners and I have had much experience living and travelling both internationally and throughout Japan and being non-Japanese this enables us to look at things differently to other ryokan owners. The key elements of our differences come down to choice of location, materials used for the build and interior, food concept and our style of hospitality. Also, I feel that our take on ‘luxury’ is refreshing for many guests, it’s much more about creating simple authentic experiences than just high thread counts and quality amenities. Living with the land for such a long time, being able to walk over it, experience the seasons, to live and breathe and feel it, is really important for my process of creating and designing something. Somoza is a 100-year old kominka – an old wooden Japanese farm house – dug into a spectacular cliff top. This is now the coolest thing in Niseko. Tell us all about it! I bought a kominka from down south, got it taken apart piece by piece, shipped up here and I’ve rebuilt it on one corner of my land. Zaborin’s on one side, near our house, and then on the other side the land drops off into a valley with a beautiful river running through it. We’ve built literally on the cliff so it looks down over the river and back up to the mountains. It’s an amazing location. I’ve dug into the cliff and built a semi-basement underneath, so you don’t actually know it’s there when you approach the building. When you go through the old house and drop down the stairs, you come into a big gallery, workshop and seminar space, which is all glass on the valley side. Then back on the ground level, one of the other projects I’ve been thinking about for a long time is a crafts gallery and shop – ceramics and glass and metal, just beautiful pieces that we pick up from around Japan and Hokkaido. The other half of the building is a café and restaurant, and upstairs under the big roof we’ve got a private Japanese tea room. It’s a really fascinating space. What sort of dining experience will it be? I’ve got an amazing couple from Sapporo who will be running it – a 34-year old chef and his partner who owns a business sourcing incredible food and organic produce. Things like amazing salts and vinegars and seaweed and miso, and all these fantastic products that have got stories behind them and the people who make them. She introduces a lot of these things to him and they work together. They’ve been wanting to move to the countryside so they’re behind the food, and I’ll be involved as well choosing the ceramics and plates and other things we use. In these old houses the ground in the main area was called the doma and was all soil. On one side would be where your horse lives, and then on the other side, the floor rises up and you would have the tatami living areas and an irori (charcoal fire pit). Above that are massive beams but otherwise it’s open all the way to the roof. I’ve got a massive old 3m-round wooden table that can seat about 12 people and I’ll put that in the middle of the room. I’m thinking about doing a chef’s table where it’s just one group dining, just you and your friends or family. SG: The name Somoza comes from the first two letters from each of our three kids’ names. But the deeper meaning behind that is, I believe you should surround yourself with things you like, the things you love, because when you do that your quality of life improves. The other way of looking at it is you’re a product of your environment. That doesn’t mean that you’ve got to go out and buy expensive furniture and things. It can be just some found objects or some cheap things that you pick up somewhere. It’s more about making a choice, like choosing things a little bit more carefully. Something that speaks to you rather than something that doesn’t really have any meaning. I think what’s important is the people you surround yourself with, the objects, the things you use in the kitchen, the ceramics you have your meal from, furniture, books. These things make a difference to your life – I’ve experienced it first hand, I’ve heard it from other people and read about it. By creating this interesting space I want to introduce that concept to other people. 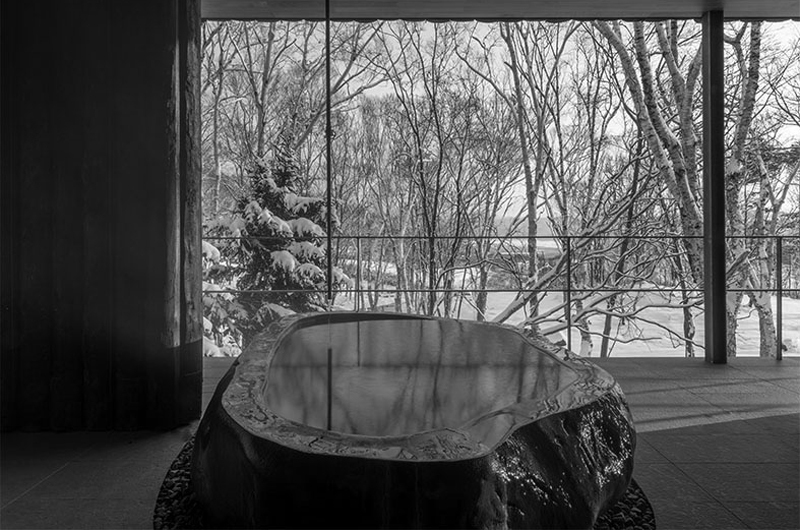 Somoza’s gallery is open this winter, featuring an exhibition of Shouya’s Hokkaido winter photographs including the one pictured here on byobu (panelled Japanese paper screen canvasses). See Somoza.jp for details. 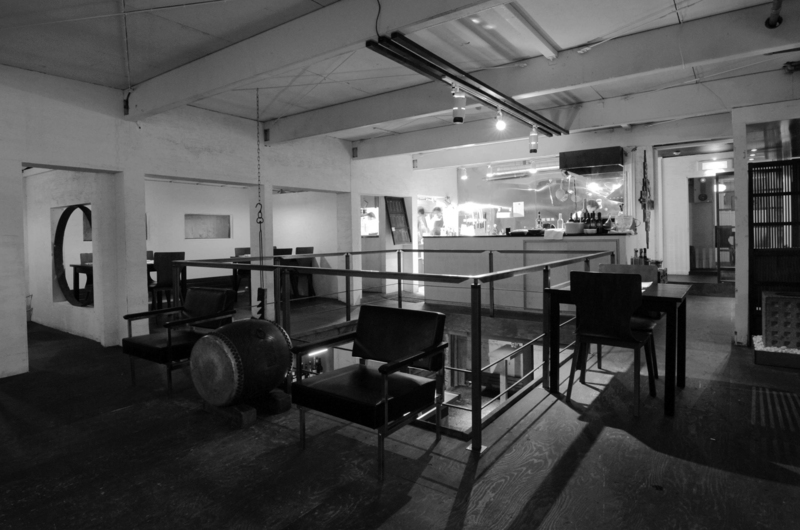 Sekka Warehouse is the next project Shouya is working on – a cafe, restaurant and boutique hotel. So now that Somoza is almost finished, what have you got in store for us now? Just down from the station on the main street of Kutchan I’ve got a nice, old stone warehouse. It’s a big space – 700sqm – and I’ve had that for a few years, just using it as storage, but I’ve been working on plans for it. Now that Zaborin is up and running I’ve got some interesting plans for this space. I’m looking at doing a mixture of a very nice café, wine bar, restaurant and accommodation – probably just five or six studios short or even medium-term stays. Again it’d incorporate another little gallery and a small function space. There’ll be a little shop down there, which will be an extension of the one we’re doing up here (in Somoza). It’s downtown, so it’s just a bit of a fun space. It’s under the Sekka brand so it’s an extension of what I’ve been doing over the years. It won’t be super high end. It’s going to be more like the Ace Hotels in the US and London – a small, funky hotel that’s not super cheap, not super expensive, but it’s just got a good vibe and interesting design using local and found objects and things. Often their lobbies are very well known for hanging out because it’s not just the guests, but people from the community go there and hang out because it has great coffee or is a good place for a drink. There’s a fantastic piece of land alongside it that I also own and what I’ll probably do there is put some railway sleepers down like a solid terrace, then open up the building so in the green season it will become a nice al fresco café area where you can sit outside. I’ve always liked that concept so it’s going to be fun and it’s also breaking new ground for Kutchan.